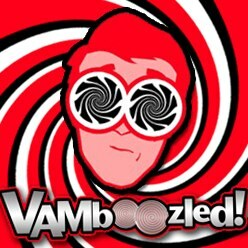 Breaking News: Houston Teachers Suing over their District’s EVAAS Use | VAMboozled! It’s time!! While lawsuits are emerging across the nation (namely three in Tennessee and one in Florida), one significant and potentially huge lawsuit was just filed in federal court this past Wednesday in Houston on behalf of seven teachers working in the Houston Independent School District. The one place I have conducted quite extensive research on VAMs, and the Education Value-Added Assessment System (EVAAS) and its use in this district in particular, is there in Houston. Accordingly, I’m honored to report that I’m helping folks move forward with their case. Houston, the 7th largest urban district in the country, is widely recognized for its (inappropriate) using of the EVAAS for more consequential decision-making purposes (e.g., teacher merit pay and in the case of this article, teacher termination) more than anywhere else in the nation. Read a previous article about this in general, and also four teachers who were fired in Houston due in large part to their EVAAS scores here. See also a 12-minute YouTube video about these same teachers here. According to a recent post in The Washington Post, the teachers/plaintiffs are arguing that EVAAS output are inaccurate, the EVAAS is unfair, that teachers are being evaluated via the EVAAS using tests that do not match the curriculum they are to teach, that the EVAAS system fails to control for student-level factors that impact how well teachers perform but that are outside of teachers’ control (e.g., parental effects), that the EVAAS is incomprehensible and hence very difficult if not impossible to actually use to improve upon their instruction, and, accordingly, that teachers’ due process rights are being violated because teachers do not have adequate opportunities to change as a results of their EVAAS results. “The suit further alleges that teachers’ rights to equal protection under the Constitution are being abridged because teachers with below-average scores find themselves receiving harsher scores on a separate measure of instructional practice.” That is, teachers are claiming that their administrators are changing, and therefore distorting other measures of their effectiveness (e.g., observational scores) because administrators are being told to trust the EVAAS data and to force such alignments between the EVAAS and observational output to (1) manufacture greater alignment between the two and (2) artificially inflate what are currently the very low correlations being observed between the two. As well, and unique to but also very interesting in the case of the EVAAS, recalibration in the model is also causing teachers’ “effectiveness” scores to adjust retroactively when additional data are added to the longitudinal data system. This, according to EVAAS technicians, helps to make the system more rigorous, but this, in reality, causes teachers’ prior scores to change retroactively from years prior. So yes, a teacher who might be deemed ineffective one year and then penalized, might have his/her prior “ineffective” score retroactively changed to “effective” for the same year prior when more recent data are added and re-calibrated to refine the EVAAS output. Sounds complicated, I mean comical, but it’s unfortunately not. Yes!! Let’s sure hope so…assuming all goes well, as it should, as this lawsuit is to be based on the research. To watch an informative short (2:30) video produced by ABC news in Houston, click here. To download the complete lawsuit click here. This entry was posted in Lawsuit and tagged At-Risk Students, Bias, Causality, Consequences, Consumer Alert!, EVAAS, Extraneous Variables, Fairness, High Stakes, Poverty, Random Assignment, Reliability, States, Statistics, Tests, Unintended Consequences, Validity by Audrey Amrein-Beardsley. Bookmark the permalink. Wonder what retroactive corrections have been made in data /scores for teachers in “non-tested” subjects, even if these teachers are not part of the lawsuit. In any case I sure hope you and others can help these teacher win and win big.